Don’t forget to Like Herbs and Oils Hub on Facebook so you’ll get notified every time we find a great new post about Herbs, Essential Oils, Spices, Natural Remedies and Natural Living. Water is key to good health. But as this post points out, water can also be very boring to drink. I’ve found that if I’m out on a hot day or have been running or cycling, then plain, cold, fresh water is perfect and hits the spot. But on the average day at home, water is pretty bland. 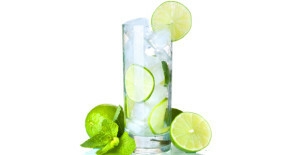 Krista at Fitday has 5 suggestions on how to make water more appealing and refreshing. I used one of the methods and it did help me to increase the amount of water I drink. It also dramatically reduced the amount of soda I drank. So if you want to increase the amount of water you drink in order to live in a healthier way, check out this post.